The mission of the University of Antelope Valley is to provide quality certificate, undergraduate, graduate and continuing education to our local and global community. 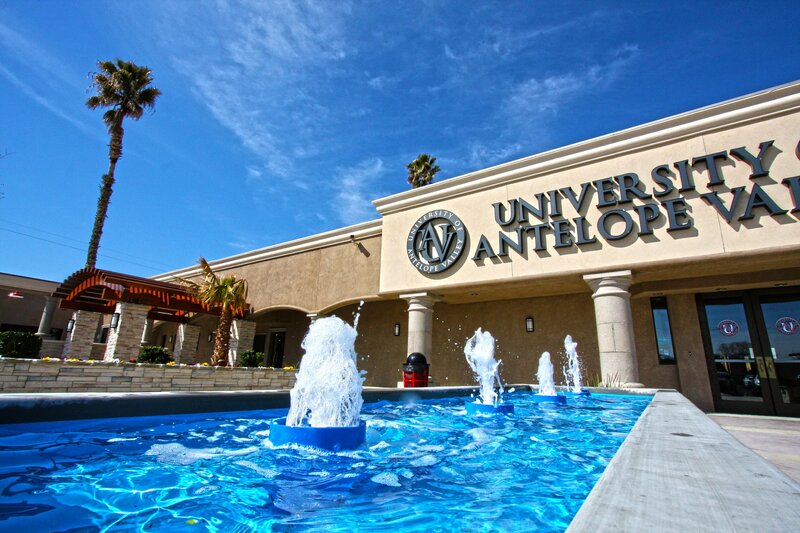 The University of Antelope Valley offers higher education that enables students to achieve their academic, career, and personal goals, thereby allowing them to become valuable assets to their communities. In the winter of 1997, after witnessing what he believed to be too many unnecessary deaths, Los Angeles City Firefighter/Paramedic Marco Johnson, with the blessing of his wife Sandra, began instructing CPR and First Aid courses. Six months after its inception, Antelope Valley Medical College (AVMC) received approval from the State of California and the County of Los Angeles to provide training in Emergency Medical Technology. AVMC was later granted approval to administer instruction in the careers of Medical Assistant, Medical Administrative Assistant, Medical Clinical Assistant, Emergency Room Technician, Paramedic, Nursing Assistant, Medical Billing, Phlebotomy, Administrative Assistant, and Vocational Nursing. During this time, the facility increased its size from a 500 square foot starter location to a 45,000 square foot high tech training facility. This facility consists of 20 lecture rooms, student break areas, student lounges, staff lounges, library, career center, men’s and women’s restrooms, and computer labs. In mid 2003, AVMC acquired an additional satellite classroom: 2997 Desert Road, Suite 6A, Rosamond, CA 93560. In June 2009, the institution received approval from the United States Department of Education and the Accrediting Council for Independent Colleges and Schools (ACICS) to offer Associates, Bachelors, and Masters degrees. Thus the University of Antelope Valley was established. UAV’s recent acquisition of the Antelope Valley Inn, and conversion plans for the property, hopefully demonstrate our personal commitment to the master plan of expanding educational offerings and technology to our community. We are grateful to many people for their unwavering belief and assistance in founding the UAV, including faculty and staff, city leaders, and members of the community. We would also like to thank the legal, business, and medical community for guidance and leadership. UAV is approved for instructor based education by the State of California Department of Health Services, Emergency Medical Services Authority, California EMS CE Provider #15-6010.